I love desserts! All kinds. But rasmalai will be my all time favorite. Nothing can beat that. That’s why i chose Rasmalai to be my first post in the blog. 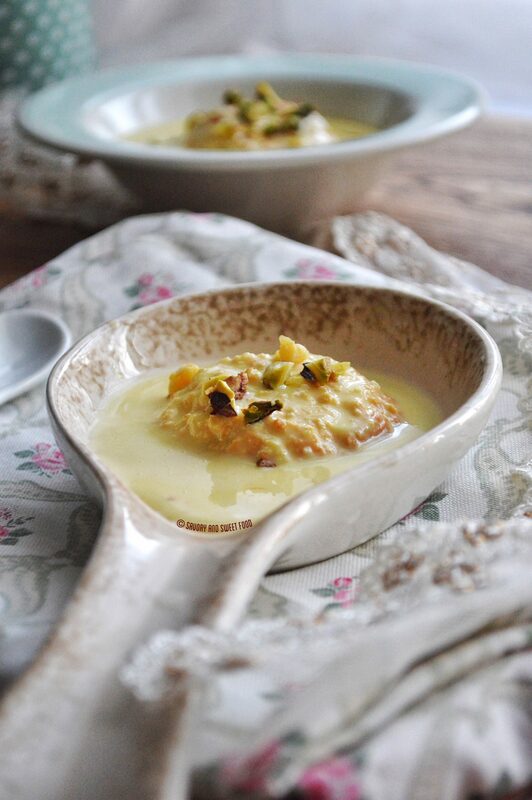 For those of you who are not familiar with this dessert, Rasmalai is a decadent Indian sweet which is basically cottage cheese (called chenna traditionally) dumplings cooked and soaked in reduced sweetened milk (Rabdi), with a mix of nuts and made fragrant with saffron. But making chenna from scratch is not a very easy job. It is a little time consuming. So i usually make the dumplings with milk powder, which is much much easier and it tastes just as good. But then i saw a very interesting rasmalai recipe made with ricotta cheese in this blog named Lifescoops and i soo wanted to try it. The best part being it doesn’t require kneading of the dough or making discs out of it. Isn’t that awesome?! I tried it and it was really good. In order to get the best taste with this method, you have to soak the dumplings in the rabri for a long time. The longer you soak it, the moister it gets. Two days would be best. I know, it is very difficult to wait so long, but it will be worth the wait. ✔️ If you don’t have a muffin tray, just bake the ricotta in a rectangular baking tray. Then cut the baked ricotta into desired shape and soak in milk. ✔️ The longer you soak the dumplings in the thickened milk, the better it will taste. I soaked mine for 2 days. ✔️ The baking time may vary as each oven is different. Keep checking and take the dumplings out of the oven once toothpick inserted comes out clean. Add the ricotta, milk powder, sugar and cardamom powder in a bowl and mix it well with a mixer till it turns smooth. 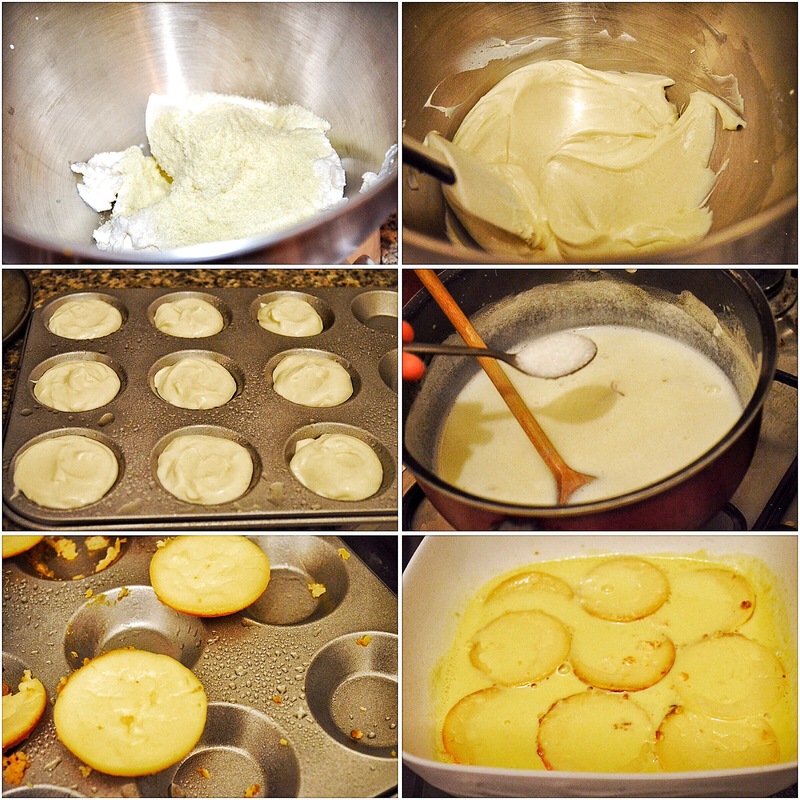 Divide the mixture equally in a muffin tray or tartlet pan. Bake for 35-40 minutes until toothpick inserted comes out clean. Mix all the ingredients (excepts for the nuts) for the rabdi in a pan and let it come to a boil. Reduce heat to low and cook for 20 minutes or more stirring frequently till you get a thickened milk. Add the dumplings to the milk and refrigerate for a day. The longer you soak the dumplings in the rabdi the better it will taste. 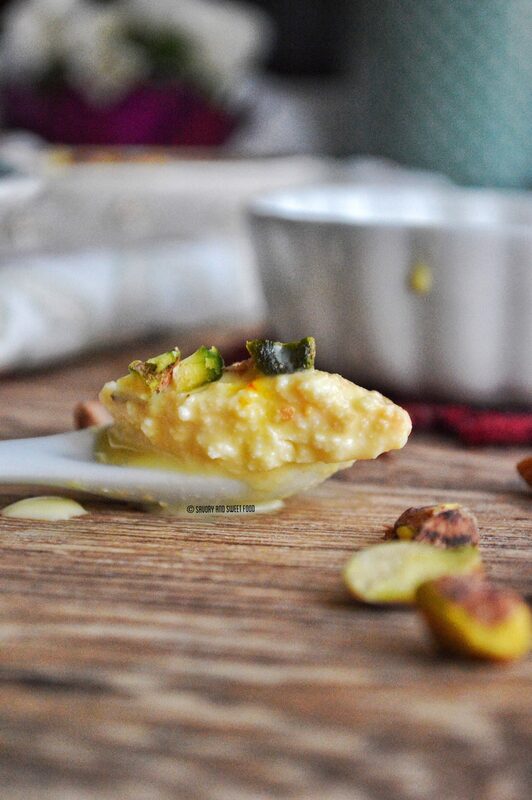 An Indian dessert made with ricotta dumplings cooked and soaked in reduced sweetened milk (Rabdi), with a mix of nuts and made fragrant with saffron. * If you don’t have a muffin tray, just bake the ricotta in a rectangular baking tray. Then cut the baked ricotta into desired shape and soak in milk. * The longer you soak the dumplings in the thickened milk, the better it will taste. I soaked mine for 2 days. * The baking time may vary as each oven is different. Keep checking and take the dumplings out of the oven once toothpick inserted comes out clean. looks good! I wonder if it tastes like the real ras malai or different. I like your different take on traditional recipes! Heyy Vajeea! It doesn’t taste exactly like the one made with chenna. But it does taste a lot like rasmalai made with milk powder. Love this, Sadia. I have only made rasmalai the cheat way with milk powder and have not added saffrom before. Love your adorable styling too! Pingback: 31 Delectable Indian Fusion Desserts for the festive season! 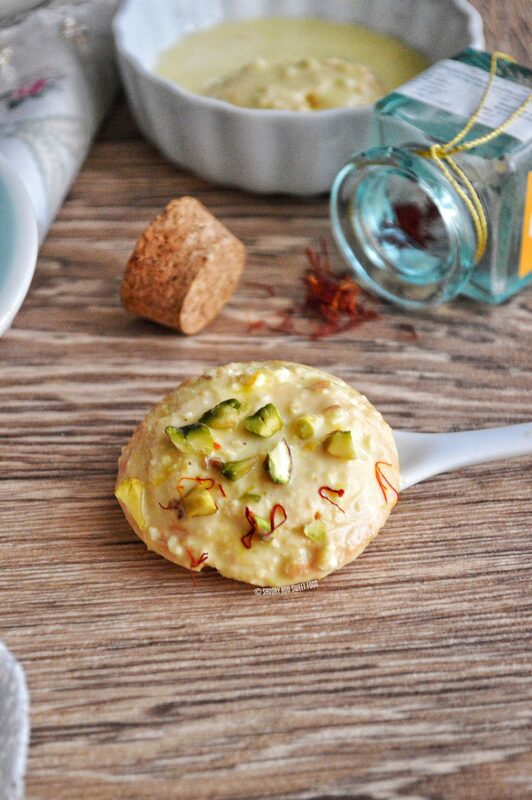 loving this modern take on the humble Ras Malai!! That’s great Sweta! Thanks a lot for the feature.